Know an individual or an organization that is truly All Heart? Hear about Bristol in the News? 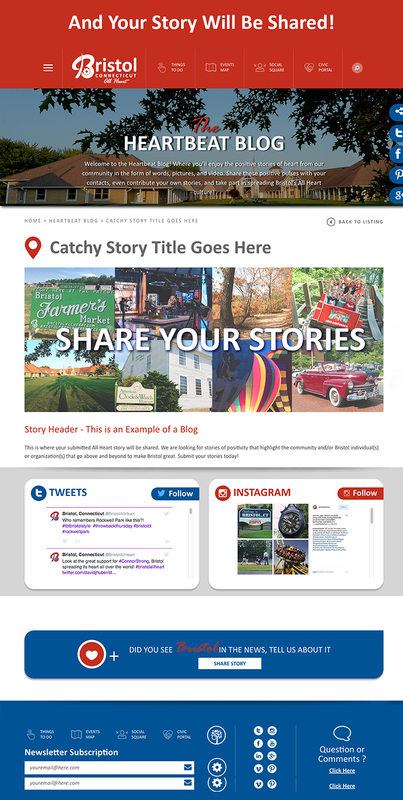 Have a story of Heart that you want to share with the community? If your answer is yes to any of those questions, we want to know! 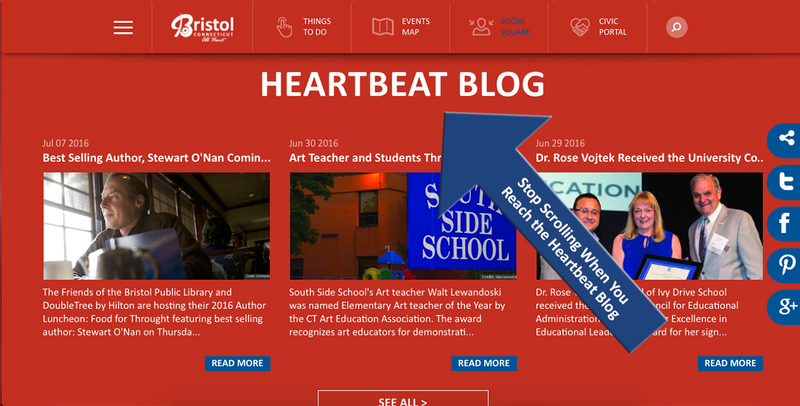 The Heartbeat Blog is your go-to place to read up on positive stories in Bristol. Here is step by step instructions on how to submit your story to the site. Stay tuned for future How To’s. *If your photograph is primarily text, low quality, and/or does not meet the size requirements, we may use a different stock photograph to ensure your event page looks it’s best and meets the size requirements for the website. And your event has been submitted, you did it! The All Heart Team works hard to get everyone’s story up in a timely manner. Thank you for learning how to share stories to the site. 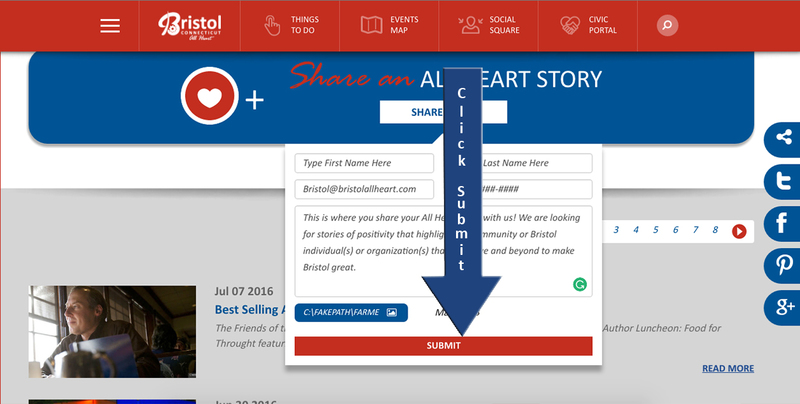 We look forward to your submissions and can’t wait to share them with the Bristol community! 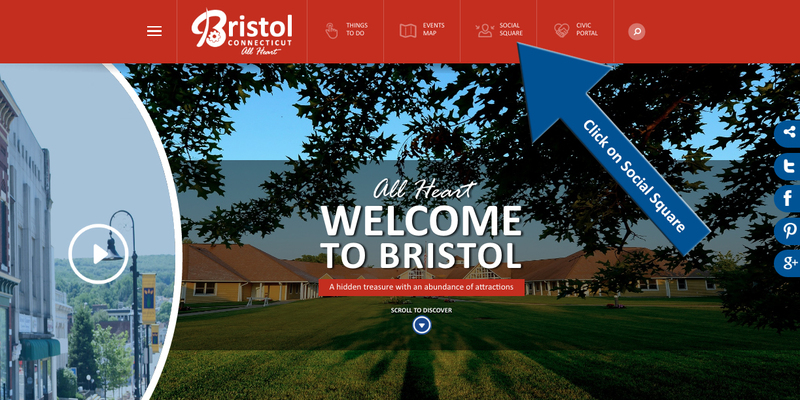 Please note: only stories about Bristol will be uploaded to the site. 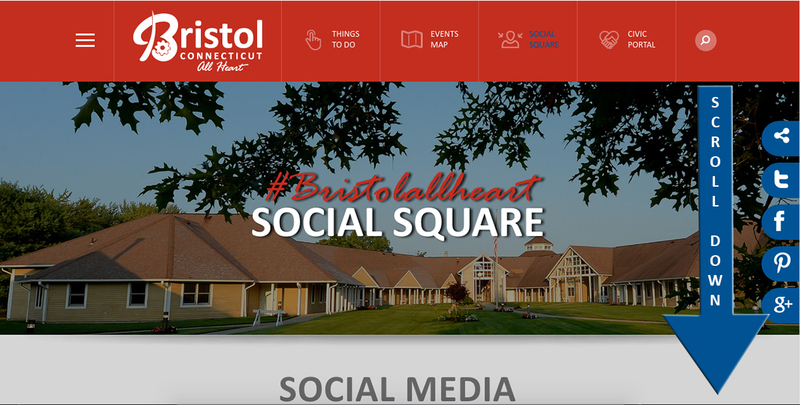 If you have any questions, feel free to email bda@bristolct.gov.